The career landscape continues to evolve. As workers increasingly take freelance jobs and other gigs, questions swirl about the future of worker rights. In many cases, companies have found that it’s easier to classify hard workers as independent contractors, rather than employees, in order to increase their bottom line. In many cases, the independent contractor will work as hard, if not harder, than an employee. Worker classification affects how a company pays a person overtime and offers rest breaks. When one thinks of independent contract work, often the first companies to come to mind include ride sharing giants Uber and Lyft. However, other companies using contract workers include restaurant delivery services, and other app-based services. A recent CA State Supreme Court case considered the issue of independent contractors and employee misclassification and issued a ruling that came down in favor of workers. Continue reading to learn a little more about this case, the issues explored by the State Supreme Court, and how this ruling might affect workers in the gig economy. If you feel your employer has improperly classified you as a contract worker, or hasn’t paid you proper wages, contact our office to learn how we can help. 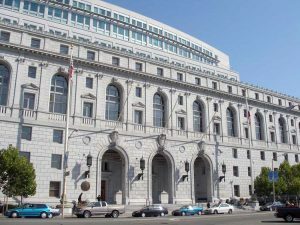 The court case in questioninvolves a nationwide package delivery company called Dynamex, which operates multiple business centers in California. The company classifies its drivers as independent contractors rather than employees. This means that while the drivers are free to set their own schedules, they also pay for their own delivery vehicles, gas, and insurance. They also aren’t subject to state and federal laws regarding overtime and rest breaks. Dynamex negotiates the rate paid to these drivers on an individual basis. Some workers receive a flat amount per delivery, some receive a percentage of the delivery fee. Prior to 2004, Dynamex classified its drivers as employees, but decided that there was significant savings to be had in classifying drivers as independent contractors. In 2005, a driver named Charles Lee filed suit against Dynamex arguing that the independent contractors were essentially doing the same work as they did when classified as employees. In his lawsuit, Lee argued that Dynamex violated the labor code, misclassified employees, and failed to pay overtime. The case began in Los Angeles Superior Court, which considered many of the subtle nuances of state law. Other drivers joined the suit, and the trial court ultimately certified a class action suit against Dynamex. The company appealed the case to the State Supreme Court hoping to reverse the lower court’s decision to certify the class action against the company. Unfortunately for Dynamex, the court sided with the drivers allowing them to proceed with their class action. In terms of company control, the court looked at a landmark case from 1989, in which an agricultural company called Borello classified its cucumber harvesters as independent “sharefarmers.” The sharefarmers would work long hours to share in some of the profits (as well as potential losses) during the harvest season. The workers felt they were improperly classified given the amount of work they did for the company. In that case, the court ruled that the company exercised a significant amount of control over the cucumber harvesters, and as such, improperly classified them as independent. Continuing with its analysis, the Supreme Court examined the definitions of the terms ‘employ’ and ‘employer,’ which are found in the state’s work orders. The court accepted a definition of the term employ as meaning “suffer to work.” This phrase means that when a company permits a person to work, the worker is on the clock whether the workflow is heavy or light. This means that even if an employee is sitting at his or her desk waiting for an assignment, he or she is considered to be working. Dynamex had hoped that the Supreme Court wouldn’t adopt the definitions of these terms, which had been accepted by a lower court. But the Supreme Court did accept these terms, and as a result, ruled in favor of the drivers. The court ruled that under these definitions, the drivers have a common interest in proceeding with their class action suit against Dynamex. “We conclude that under a proper understanding of the suffer or permit to work standard there is, as a matter of law, a sufficient commonality of interest within the certified class to permit the question whether such drivers are employees or independent contractors for purposes of the wage order to be litigated on a class basis. In the simplest of terms, California’s recent Supreme Court ruling against Dynamex means that workers in that case can proceed with their class action suit. However, there are some in the legal profession that feel the ruling could have more immediate effects for California companies. A recent Los Angeles Timesarticle suggested that California employers could start questioning their employee classifications right away, even changing some classifications to avoid stiff fines. The Timesposed the question to Michael Chasalow, a professor at USC Gould School of Law. “A huge number of businesses will be calling their lawyer saying ‘What should I do,’” Chasalow told the Times. Are You a Worker Who’s Been Misclassified? It’s important to note that the California Supreme Court did refer to some professions as properly classified independent contractors. The court specifically mentioned such workers as plumbing contractors and electricians. However, there are many workers out there who feel they aren’t getting the compensation they deserve because of their independent contractor status. Ride sharing companies are one area where this discussion has been heavily focused. Other app-based services might also raise some serious questions about worker classification. If you believe you’ve been misclassified as an independent contractor, contact our office for a consultation. Many cases are taken on a contingency basis, which means the client doesn’t pay any up-front costs. If you have questions about anything discussed on this page, or some other employment law issue, give us a call to learn how we can help you.